The modest tiny flowers of Tilia americana cluster under the lush leaves of the American linden tree, hidden in plain sight. 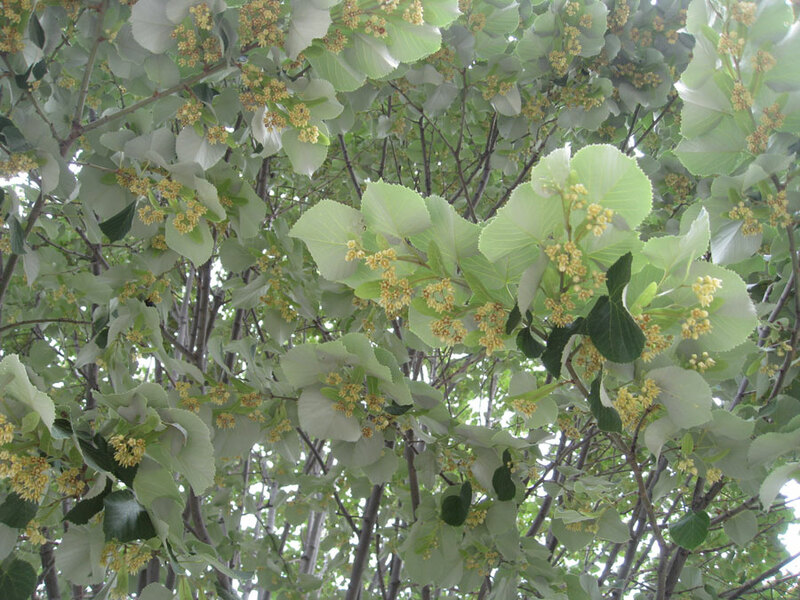 During springtime in the District many lovely flowering trees enjoy the rapt attention of tourists and residents. The cherry blossoms alone inspire a euphoric response that filters throughout the local economy. Yet scant attention is given to some of the other stately and elegant trees that help make the Capitol City a capital place to live. People who get all their news from lurid headlines and the usual bad-news-first policy of competitive journalism may never discover all the surprising charms of this particular city. But for those who take the time to walk the sidewalks of Embassy Row in June, a heavenly aroma awaits. Look up. There, those trees with the heart-shaped leaves that are green on one side and fuzzy pale gray on the other? Step closer. Inhale. There’s more than one way to get high in this city.